The final XC race of 2015 was the XC relays at Leeds. 25 of us took the long coach journey up to leads to complete the 3.2km relay course. The men were in teams of 4 and the women were in teams of 3. Although the weather was dry but windy, the course was extremely muddy from previous rain which led to difficult racing conditions. The competition at this race was fierce but despite this we still managed to achieve respectable results. Again, the girls did especially well with Chloe Bird (8th), Aubree Piepmeier (9th) and Beth Neal (13th). The male race was particularly tough with the male team ‘A’ finishing 28th. This team included Jack Millar (19th), Alex Bradford (27th), Adam Thorpe (28th) and Jack Allison (31st). Well done to everyone that came along and raced! Categories: Race Report, Uncategorized | Tags: Athletics, Cross Country, Leeds, Race Report, Relays, University of Nottingham | Permalink. On Saturday 24th October, 30 Athletes travelled to Manchester to compete in the Manchester University XC relays. The women were split into teams of 3 and the men were split into teams of 6. 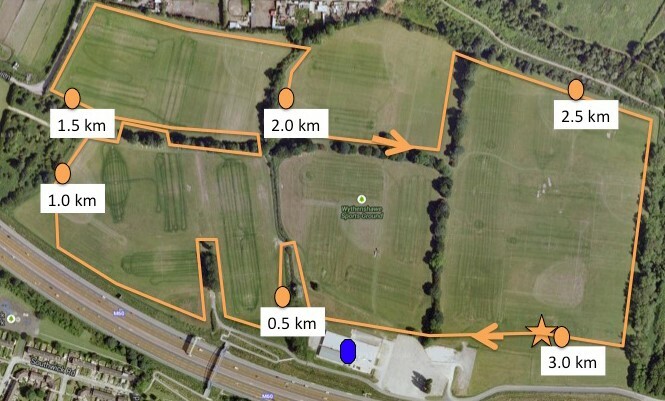 Each competitor had to complete the 3km cross country circuit. We entered 4 teams for the women and 3 teams for the men. The rain cleared just as the race started which provided good racing conditions even if it was a bit muddy underfoot. Yet again there were brilliant performances all around by Uon Athletics Club with Aubree Piepmeier coming 2nd women overall. The womens A team comprising of Aubree Piepmeier (10:18), Chloe Bird (10:58) and Aoife Thorogood (10:57) came 3rd womens team overall. The womens B team came an impressive 17th overall and the womens D and C teams came 25th and 26th respectively. The men’s teams did impressively too. With the Mens A team (Alex Bradford, Daniel Leng, Will Patterson, Tom Wocial, Sam Broomhead and Jack Millar) came 23rd out of 63 teams. The mens B team came 35th and Mens C team came 49th. A fantastic turnout from the University of Nottingham Athletics Club. We hope to see all the runners back for the next XC race! Categories: Uncategorized | Tags: Athletics, Cross Country, Manchester, Race Report, Relays, University of Nottingham | Permalink. 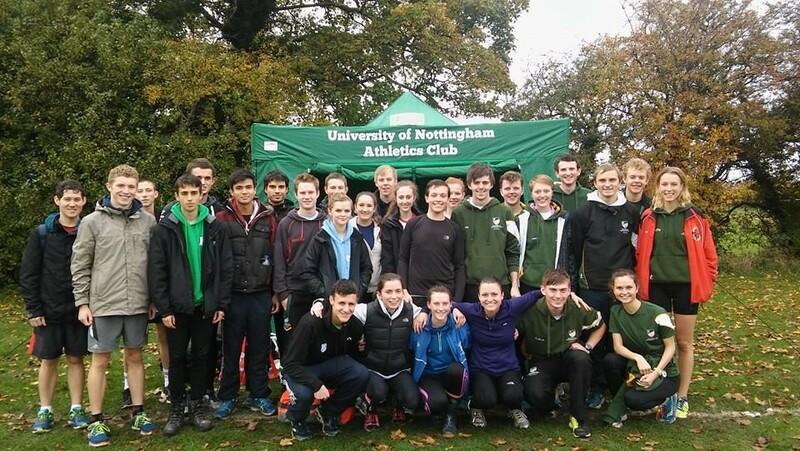 On Saturday the University of Nottingham’s athletics club organised its annual fresher’s relays. The event allows newcomers into the club to participate in a friendly race with the aim to get to know other members of the athletics club. Roughly 40 people turned up to the event with 27 in total racing. Everyone was divided into 6 teams of four and 1 team of three. Every runner was provided with a race-card and had to position themselves within the team. 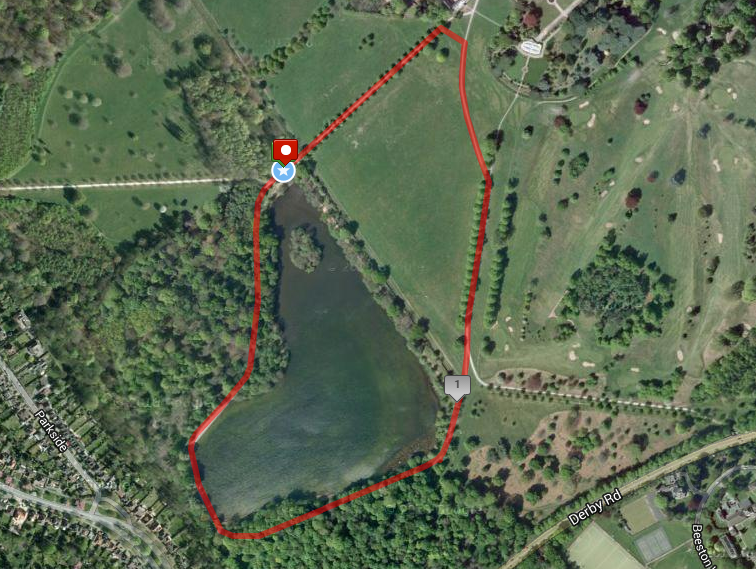 The relay was approximately 1.85km and varied from a flat uneven terrain around the main lake in Wollaton Park, to a moderate incline towards Wollaton Hall. Every runner performed exceptionally during the relay. Team 7, consisting of Alex Bradford, Emily Doswell and Jack Millar were the eventual winners in a combined time of 27 minutes and 21 seconds with Team 3 not far behind on 28 minutes and 7 seconds. In terms of individual performance there were some outstanding runs. For the men’s relay Jack Millar produced the best time of 6 minutes 5 seconds, Adam Houchell was the fastest male newcomer on 6 minutes and 8 seconds, Thomas Wocial also produced a fantastic time of 6 minutes 12 seconds. For the female relay, the overall winner was newcomer Aubree Piepmeier with a brilliant time of 6 minutes 45 seconds. Katie Buckingham was second on exactly 7 minutes and Sarah Owens was third in a time of 7 minutes and 23 seconds. And a big shout out to our Home Fixture Captains, Emily Woodford & Charlie Morris, for organizing a great afternoon! Categories: Uncategorized | Tags: Athletics, Cross Country, Freshers, Instagram, Race Report, Relays, University of Nottingham, Wollaton Park | Permalink.